ever wonder wats REALLY in ur delicious mince n cheese pie? ever wonder why no one ever step out from the barber shop? ever wonder why a boy becomes who he is today? or have u ever wonder why does the smoke from her chimney smells so badly? as for me...i never really wondered that Johnny Depp can SING!! 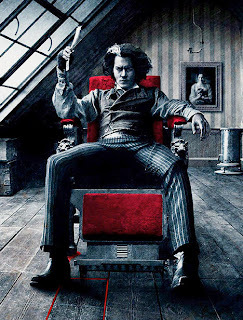 1st, the director is Tim Burton.